Do you know your worth to your company? Do your bosses know? What if you had metrics that showed, in black and white, just how much value you bring to the table? What if you brought those metrics into your next performance review – you know, the one in which you ask for a raise? Forget the “what ifs.” Let’s make this into an “if/then” scenario. If you bring in real numbers that prove the value you bring to your company into your next review, THEN you’ll get that raise or promotion you’ve been hoping for. Numbers don’t lie. The only trick is in tracking them. Measuring ROI isn’t a new concept for customer success – metrics are an integral part of the job description. 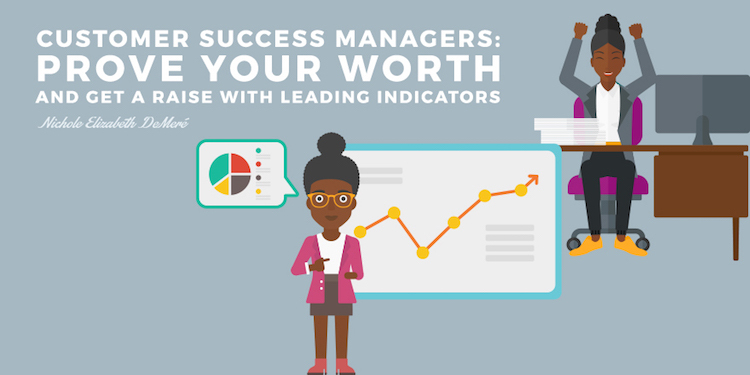 Since customer success is a relatively new field, success managers are typically eager to demonstrate the value of their department to the company, which means the metrics you need most (for when you’re sitting across the table from your boss) are ones you’re probably already tracking. So let’s talk about the best metrics to tap into. These metrics are the common ways to measure the core work of customer success as a whole, and your worth in particular. Your first step is simple, but it might take you a while to come up with the list. You need to quantify all of the things you do. All of the activities, the health checks, the number of companies onboarded. It’s important to know how much you actually do, even though activities can be difficult to measure in terms of impact. This, together with New Business, is a critical number for subscription-based companies since it relates directly to profitability and growth. The problem for you is that retention is a lagging indicator. It can take a year for a company you’re nurturing to decide whether to renew their contract. What if you want a raise the next quarter? This is why you need leading indicators. Leading indicators give you a sense of your ROI day-to-day and effectively predict critical, but lagging, indicators like retention and growth. Because they’re continually tracked, they can also help you position yourself for a promotion or raise sooner. Many companies gear up for bi-annual NPS surveys to gauge customer happiness. It’s a big production of organizing email lists, taking in responses and responding appropriately. 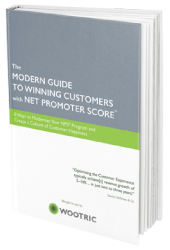 Doing it this way is a time-consuming process that makes NPS a lagging indicator when it doesn’t need to be. 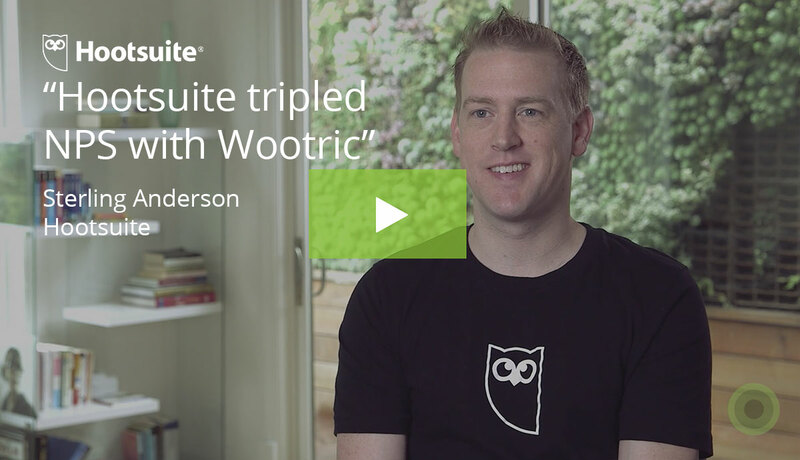 With tools like Wootric that allow success teams to conduct real-time NPS surveys every day, NPS becomes a powerful leading indicator. Customer happiness leads directly to retention. 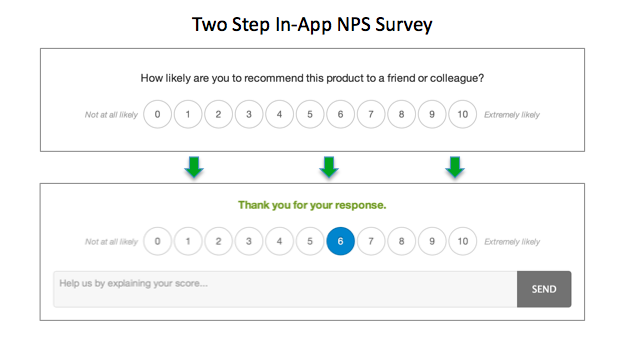 And, conducting NPS surveys on a convenient SaaS platform is a much more efficient use of time. 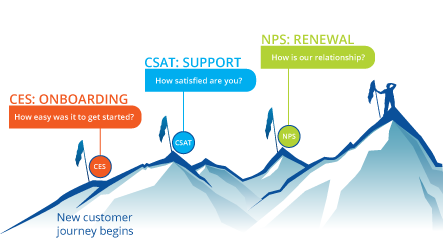 NPS is also a valuable metric for another reason – management understands it. It’s a metric that isn’t limited to one department; it’s tracked at the boardroom level. If you can say “The NPS for my account group is up by 5 points in the last six months,” it gets everyone’s attention, which isn’t always the case with more department-specific metrics. Your second most important leading metric is onboarding success rate. The onboarding period is the most critical time for new customers, especially for SaaS products. It’s during this 30-90 day period that customers either find success with your product and stay, or use it once and disappear. This is also the most crucial time for up-sells. Studies have shown that customers are most receptive to upsell suggestions within this same period. 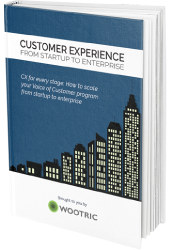 Essentially, if customers derive value during onboarding, you can count on a long and profitable relationship. Similar to after-onboarding customer success, you have to first define what behaviors correlate to onboarding failures and successes for your product.Companies like GrooveHQ send new customers a series of onboarding prompts, and they’ve noticed that free users who complete those prompts within 24 hours are almost 80% more likely to convert to paid customers than those who don’t. Once you’ve identified your onboarding success metrics, start tracking, and put benchmarks in place. And, finally, show your improved metrics. Even better, take the next step: correlate successful onboarding with Lifetime Value to estimate the dollars-and-cents ROI of your efforts over the long-term. Like NPS, Customer Health is also a leading metric for retention. Unlike NPS, measuring Customer Health can be complicated because you have to decide what “health” means in the context of your business. Whatever key performance indicators you choose, your customer health scores should be predictive of renewal and churn rates. But how they do that is up to you. 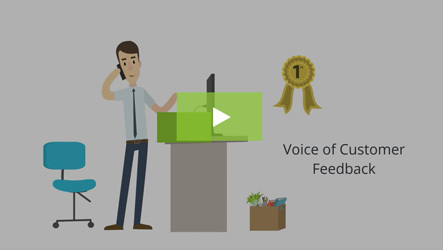 As customer success manager, what you do has so much value. You just need the right metrics to prove it. If you’re armed with all three of these leading indicators, you’re in a strong position to ask for that raise, that promotion, even additional resources on your timetable.